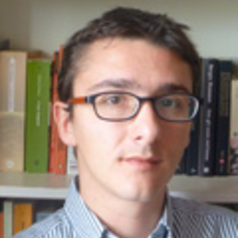 Dr. Diego Maiorano has a Ph.D. in Political Studies from the University of Turin in Italy. He has worked at the University of Liège (Belgium) and at the Institute of Commonwealth Studies in London. His current research (funded by the Leverhulme Trust ECF) focuses on India's largest anti-poverty proramme, the Mahatma Gandhi National Rural Employment Guarantee Act. The objective of the project is to look at the non-monetary change that the programme has brought about, with particular reference to changes in caste and gender relations. Dr. Maiorano's broader research focuses on India's politics and political economy and on political and economic change in developing countries, with special reference to the themes of poverty and inequality. His Ph.D. thesis (now published by Hurst&Co./Oxford University Press/HarperCollins) is the first systematic account of Indira Gandhi's final term in Office. He is the 'Lead Comparator' in an ESRC council-funded project called "Expanding not Shrinking Social Programmes - The policies of the policies to tackle poverty and inequality in Brazil, India, China and South Africa"